The National Coal Supply Corporation (NCSC) handles the procurement of coal and its transportation from source countries to the Israeli Electric Corporation’s coal power stations – the Rottenberg station in Ashkelon and the Orot Rabin station in Hadera. A government-held company, the National Coal Supply Corporation is under full ownership of the Israeli Electric Corporation. A demographic increase requiring preparation for an imminent rise in the electricity consumption in Israel. The evolution of the Israeli industrial sector, which significantly increased electricity consumption. The high costs of fuel oil (mazut). The efforts to reduce air pollution levels entailing the use of fuel oil. Decreasing dependency on fuel oil, widely controlled by hostile countries. Upon establishment of the “Orot Rabin” power station, built to extend the manufacturing capacity of the Israeli Electric Corporation, the Israeli government wished to disperse risks in the energy market and ensure that alongside the use of mazut, the Israeli Electric Corporation would also enjoy access to alternative energy sources. Coal was the natural choice due to its availability and cost. The NCSC employs approximately 30 people and its main activities focus on coal and shipping, both unique international markets. The coal supplied to the Israel Electric Corporation is obtained from various source countries, such as Australia, South Africa, Columbia, Russia, etc. 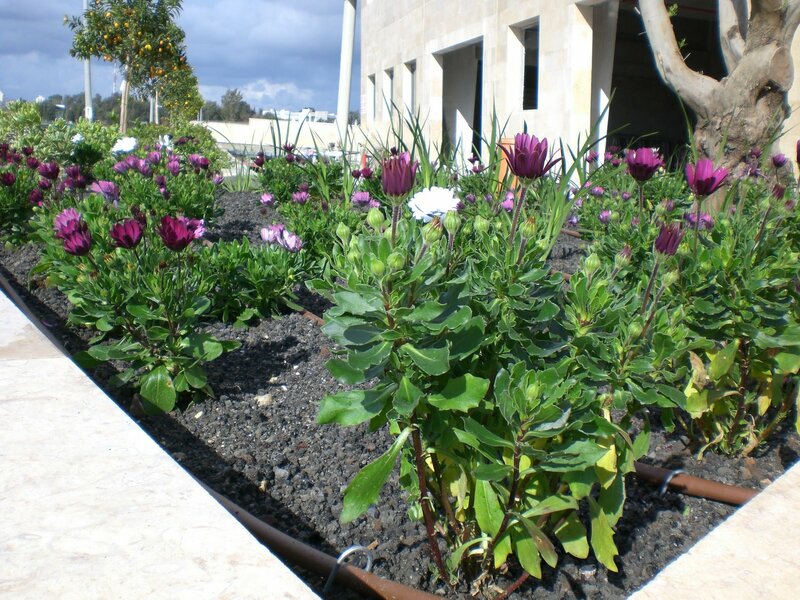 Coal purchase is performed in coordination with the requirements of the Israeli Electric Corporation and includes various types of coal, featuring unique properties and differentiated by several components including carbon, hydrogen, oxygen and organic compounds. The company cooperates solely with reliable and renowned coal suppliers in the international coal market, and continuously strives to uncover new sources of coal. While handling purchase contracts, the company handles coal transportation from source countries to the coal power stations in Israel (Hadera and Ashkelon), based on contracts with shipping suppliers for leasing Panamax and Cape Size bulk carriers, each featuring a cargo capacity of approximately 80,000 and 170,000 tons, respectively. Another area of company activity is the subleasing of bulk carriers. Subcontracts of affreightment serve as a means for cost savings, and also facilitate operational flexibility in the sailing schedule. Moreover, the company acts as a ship agency for coal ships arriving at Israel’s sea ports, and under this framework, the company provides the ship’s crew with equipment, food supplies, health services and more. As of 2016, the company’s financial turnover was $ 725 Million. Approximately 30,000 tons of coal are burnt daily at the power stations in Ashkelon and Hadera. As of 2016, coal was a key energy source for electricity production in Israel. 35.9% of the electricity consumption in Israel was provided by power stations operated by steam coal. Following discoveries of several gas sources facing the Israeli shores over recent years, the Israeli government decided to promote the use of natural gas in Israel, with most of it designated for energy production. In the near future, coal consumption is expected to decline due to the increasing usage of gas. However, coal will continue to serve as a significant energy source for electricity production in Israel. Utilization of alternative sources of energy is not expected to affect coal purchase, due to low availability of these sources and high subsidies required for their development. The Israeli government decided to establish the company, and listed it in the Corporate Registrar. The company held its first meeting of the Board of Directors and launched its activities. The company sold coal to an industrial plant for the first time. Coal-based energy-producing facilities began operation in two leading factories in Israel. The coal terminal in Ashdod was established, and the company reached a total offloading of 50 million tons of coal. The coal terminal in Ashdod was closed and coal offloading was transferred to the open port in Ashkelon. The Israeli Electric Corporation purchased all stocks of the NCSC from the state, thus becoming the sole owner of the company. The Ocean Vanguard ship unloaded the largest coal cargo ever handled in Israel – 203,384 tons of South African coal. A peak year in the prices of coal and sea transport. Coal and shipping prices reached a rock-bottom point. A peak in the coal import to Israel – over 14M tons. Ms. Khapyorsky has served as a memeber of the Board of Directors Since 2014. Ms.Khapyorsky holds a BA in Economics with specialization in Accounting, and an MA in Economics from the University of Haifa. She qualified as a Certified Public Accountant in 1999. She is Currently the Manager of Local Suppliers Accounts Payable Department at the Israel Electric Corporation. Ms. Khapyorsky also serves as a member of the Board of Directors of Mahog – Israel Electric Corporation’s Employee Pension Plan. Mr. Helman has served as a member of the Board of Directors since March 2014. Mr. Helman holds a BA in Political science, and an MA in Public Administration from Tel Aviv University. Mr. Helman serves as Senior Vice President of Regulation at the Israel Electric Corporation and also serves as NCSC’s Chairman of the Audit Committee. Mr. Bornstein serves as President & CEO since 11/2008. 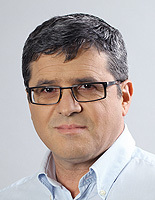 Mr. Bornstein holds a BA degree in Computer Science and Economics from Bar-Ilan University. He has worked for the company for 23 years, serving in various management positions. Over this period, he served as the Head of the Shipping Division, and for two years, he managed both divisions and served as the Head of the Shipping and Commerce Division. 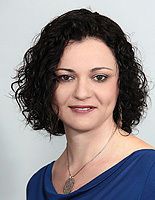 Ms. Yadgarov has been with the company since 2003. Since 01/2010, she has served as the Head of the Commerce Division. 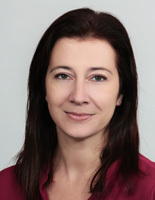 Ms. Yadgarov holds an MBA from Tel Aviv University, served as an economic advisor in the Commerce Division, and later as the Deputy Head of the Division. Mr. Oref has served in the Shipping Division since 2006, and has been the head of the division since 2011. 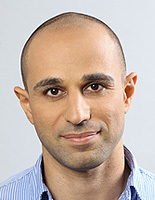 Mr. Oref holds an MA in Humanities from Tel Aviv University. He has been working in various shipping areas for the past 20 years, among other, as a shipping agent, broker, and route manager. 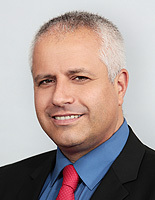 Barak Silverstein, C.P.A LL.M – CFO & Head of the Information Systems Dpt. Mr. Barak Silverstein serves as the Chief Financial Officer of NCSC and Head of the IT Department since 2008. Barak is a CPA and holds a B.A. 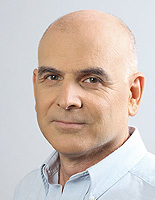 in economics and accounting from Ben-Gurion University, as well as an LL.M from Bar–Ilan University. He was certified as an accountant since 1993. 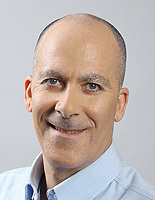 Mr. Silverstein served for six years as an Audit Engagements Manager at Deloitte Israel, followed by eight years as CFO in commercial companies in the fields of software development and tourism. Ms. Shapira has served as Corporate Secretary since 01/2004. 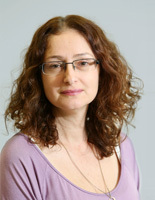 She holds a BA in Economics from the Hebrew University in Jerusalem and an MBA from Heriot-Watt University, UK. She also served as Assistant to the CEO in a NASDAQ-traded software company in the field of digital graphics. In addition, she served as Administrative Manager of start-ups in the fields of communications and dental equipment. The Israel Electric Corporation was founded prior to the establishment of the state of Israel, in 1923. A state-owned company, it handles electricity production, management of power stations and electricity supply and sales to the private and business sectors in Israel. The Israel Electric Corporation ensures continuous, quality supply of electricity to each and every home and consumer in the country. The company’s dedication to the steady supply of electricity requires ongoing care and maintenance of the existing electricity infrastructure, development of additional infrastructure, adaptation of electricity production systems to various or new energy sources, ongoing monitoring of available energy sources and forecasts for ensuring the availability of energy sources for future and emergency situations. 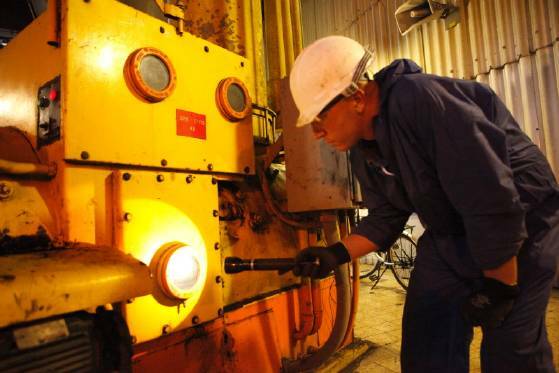 Employee of Israeli Electric Corporation examines the flow of coal into grinding mill. The Israel Electric Corporation is the sole owner of the Israel National Coal Company, which is its subsidiary. The two companies enjoy close cooperation, ensuring that imported coal meets the meticulous quality assurance standards set by the government, and that coal supply is continuous and regular, so that an emergency supply is available upon need. The National Coal Ash Board is a state-owned entity established in 1993 by the Energy and Infrastructure Ministry (known today as the Energy and Water Ministry), in cooperation with the Environment (known today as Environmental Protection) and Interior ministries, the Israeli Electric Corporation and the National Coal Supply Corporation, in order to consolidate a state-wide effort to create a solution for coal ash, which is a mineral residue produced during coal burning, and which accumulates in the Coal Power Stations. The objective of the National Coal Ash Board is to develop a knowledgebase through research and collaboration with knowledge centers and international experts, in order to regulate the economic and technical conditions required for effective utilization of coal ash subject to environmental and health restrictions. The activities of the National Coal Ash Board turned the coal ash from waste to a resource, leading to its utilization for the benefit of the economy and environment. Information regarding the NCSC can be obtained upon request, based on the guidelines of the Israeli Freedom of Information Act of 1998. The National Israel Coal Company Ltd.
Requests via email are recommended; however, fax or email requests will be handled as well. The person filing the information request shall pay an information request fee of 98 NIS and shall be obligated to pay handling and production fees up to 261 NIS. In the case that the overall fees surpass the above-mentioned sum, the person requesting the information will be updated and required to pay the relevant sum. After the information is obtained, the company will promptly update the person requesting the information, no later than 30 days from receiving the request, about the decision regarding the request. In the case that the company decides to make the information available, the company will provide it no later than 15 days from the date of the decision, subject to payment of the fee.